At last week's Consumer Electronics Show (CES) in Las Vegas, Chevy’s unveiling of the compact all-electric 2017 Chevy Bolt dominated headlines. While Tesla has the title for the first publicly available all-electric car, the Bolt may be considered the first affordable all-electric car as Chevy has suggested it will have a price tag under $30,000 (after the available $7,500 tax credit). As a follow-up to the Chevy Volt, a compact hybrid that was introduced in 2010, the Bolt is being marketed as a modern-equipped, no-emissions car that is able to travel 200 miles on a fully charged battery. Making its debut at the CES, GM’s CEO Mary Barra, made the car’s advanced tech features a focal point of its presentation. The car will be equipped with a range of safety tech features like warnings, driver assist applications, and rear-mounted cameras.The 10.2-inch center screen will feature a 4G LTE connection and what Barra called “EV navigation mapping”—a system that directs drivers toward charging stations when needed. 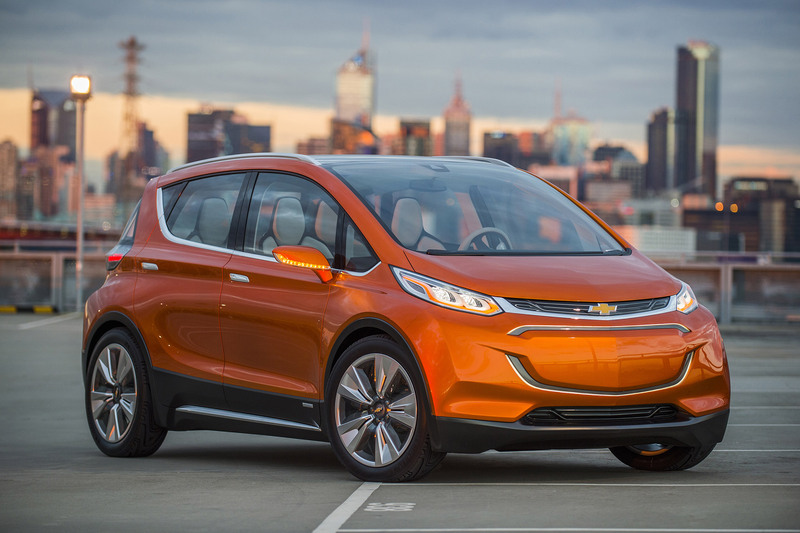 The Bolt’s CES debut still leaves a lot of questions unanswered as Barra did not give any promised numbers or statistics, but perhaps these questions will be addressed at this week’s North American International Auto Show (NAIAS) in Detroit. In addition to showing off the Bolt, Chevrolet will also introduce its hatchback version of the Chevy Cruze at the NAIAS. While the Bolt is big news right now, other manufacturers have hinted at future news. Tesla has suggested they are working on a 2017 model, Model 3, and that it will be more affordably priced than its currently available Model S. Volkswagen and Nissan have also suggested they are working on all-electric cars as well.